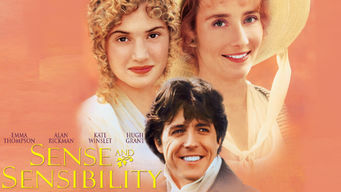 How to watch Sense and Sensibility (1995) on Netflix Argentina! Yes, Sense and Sensibility is now available on Argentine Netflix. It arrived for online streaming on October 7, 2017. We'll keep checking Netflix Argentina for Sense and Sensibility, and this page will be updated with any changes. Facing poverty after their father's death, three sisters are obliged to rely on the generosity of others in this adaptation of the Jane Austen novel. Two country girls are poor, but enticing. Their suitors breeze in with charm, but there's scandal in the wind.